Wash and cut the fish into thin slices. Add the marination powder to the fish,mix it well. 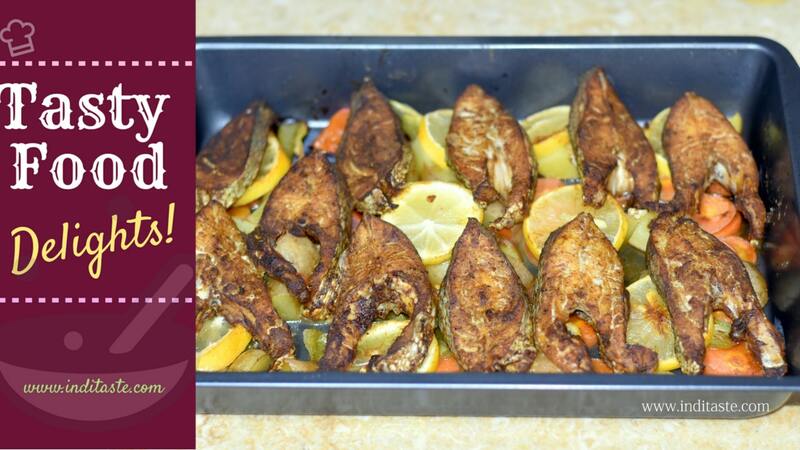 Keep the marinated fish in the refrigerator for 3 to 4 hours or atleast a hour. Preheat the oven at 200 degree cel for 20 minutes. In a baking tray brush some olive oil add the diced vegetables. Now place the marinated fish on top of the vegetables. Bake at 200 degree cel for 45 minutes. Serve with hot rice or with bread.